Climate change is an existential threat to all humankind. 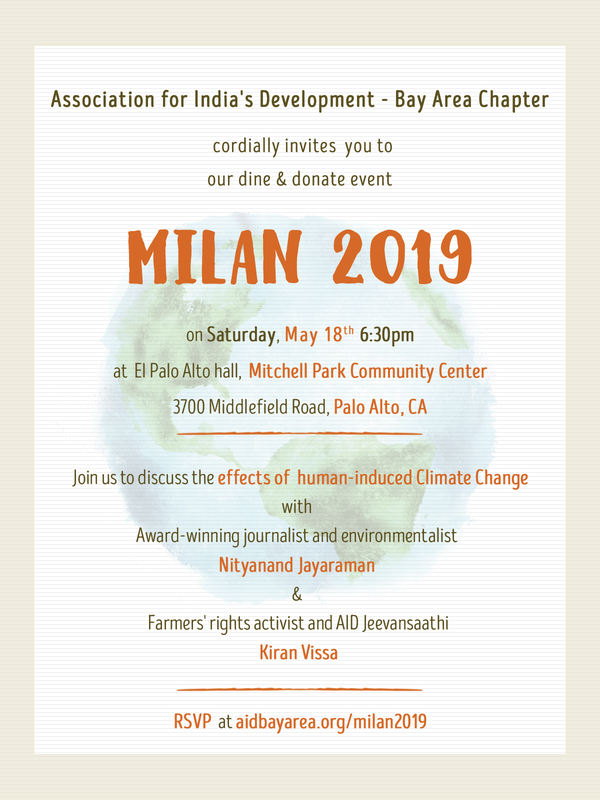 This year at Milan, we will focus on how climate change is affecting the marginalized communities in India, and how they are fighting for their rights. We are proud to feature two exceptional and inspiring grassroots change-makers: Award-winning journalist and environmentalist Nityanand Jayaraman, and Farmers' rights activist and AID Jeevansaathi Kiran Vissa. 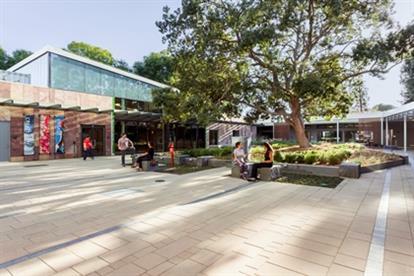 We would be thrilled to meet you for dinner at Milan 2019 on Saturday, May 18th 6.30 pm at Mitchell Park Community Center, Palo Alto. Please RSVP by clicking the button below or by replying to this email; you are also encouraged to forward this invitation to like-minded friends and family. If you can't make it in person, please consider making a pledge. Nityanand Jayaraman is an award winning journalist & environmentalist who has, for years, been involved in environmental protection and social welfare causes. 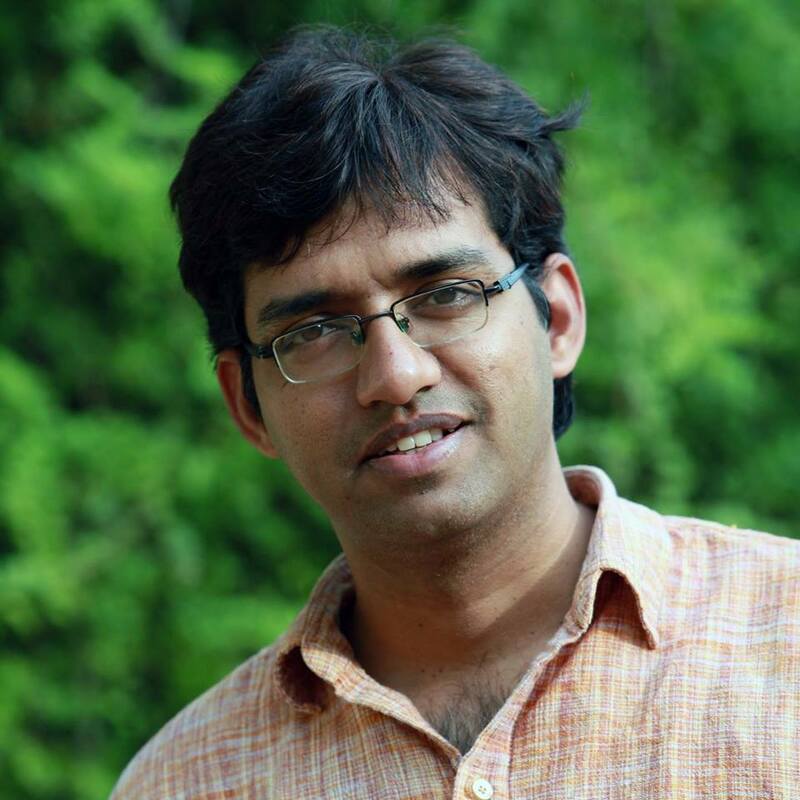 He is based out of Chennai and focuses on issues related to environmental justice, climate change, and citizen action to protect the environment in and around Tamil Nadu. He believes India can lead the world in showing the alternative, ecologically sound way to ensure the well-being of all humankind. Donate using the secure form below to support a sustainable future for all!